The Dutch national team remains winless at home in the World Port Tournament in Rotterdam. On Sunday afternoon they lost to Cuba 6-10, as the record world champion scored nine runs in the first three frames for an easy win. They are now 4-0. Yoelvis Fiss went three-for-four with a homerun and four RBI. Rolando Merino scored three times. Adonis Garcia collected four hits. Bas de Jong led the Netherlands with five hits in five at bats, scoring once and driving in two. Yaumier Sanchez struck out seven in five innings for the win. He conceded eight hits, two runs and five bb. Joey Eijpe suffered the loss, allowing nine hits, nine runs (8 ER) and a walk in two-plus innings. 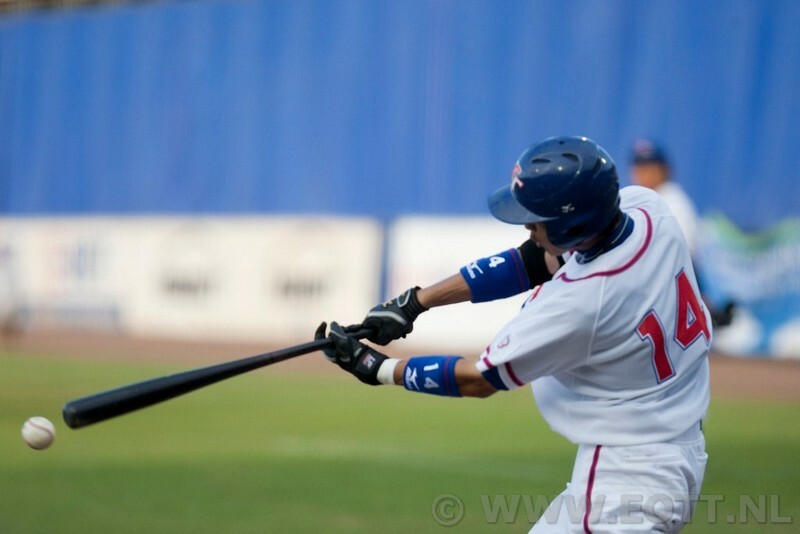 Japan moved to 2-2 in the WPT with a 6-1 victory against Taiwan in the evening game at the Familie Stadium. They took a 3-0 lead in the top of the second on a Kyohei Kondoh homerun and RBI singles by Wataru Hiyane and Ryosuke Katsumi. They added three more runs to seal the win. Taiwan’s lone run came in the ninth on a passed ball. Nobuyuki Tanaka allowed just three hits and a walk in five scoreless innings for the win. Yu-Ching Lin was charged with seven hits, four runs and a bb in four innings to take the loss.